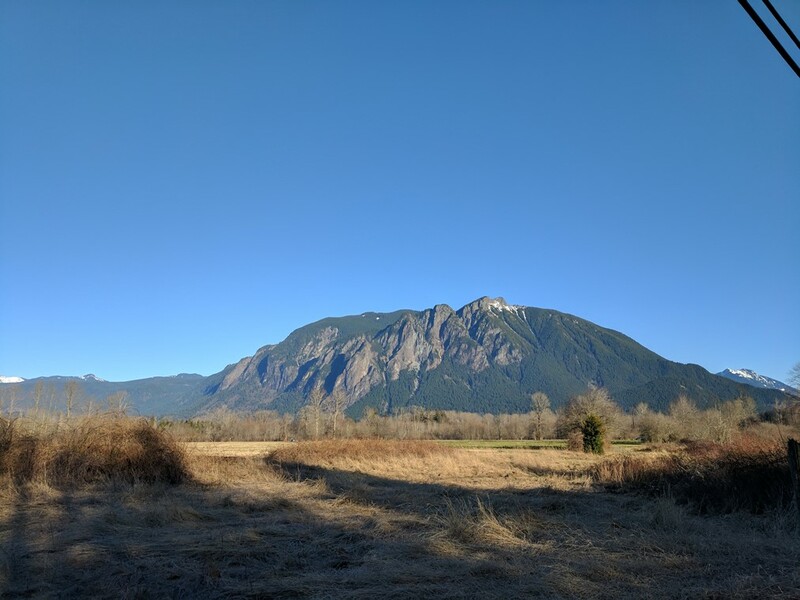 The mountains are calling and I know I must go. For those of you who don't know, my husband Jonathan started his consulting career in August 2016. What this means is that he travels...A LOT! 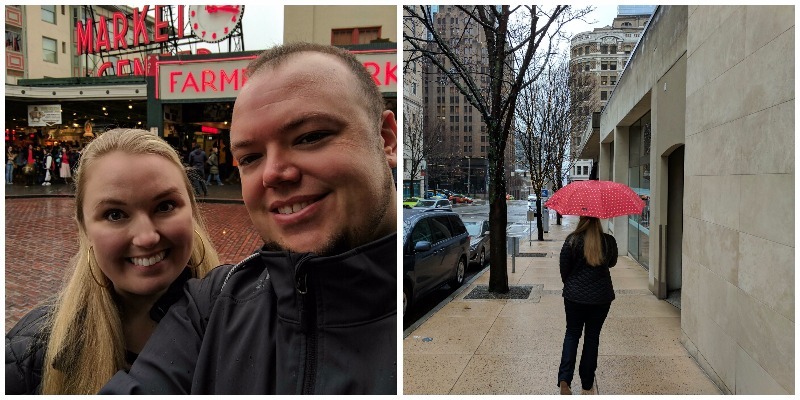 Before we were married, he flew from Savannah, Georgia to Seattle, Washington (over 3000 miles) and back EVERY WEEK! Our time together was on the weekends. To some, this may seem impossible, and though not always ideal, it has provided us with a fantastic opportunity to travel together! 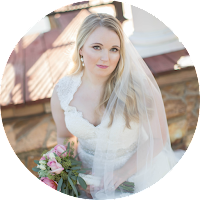 After we were married, we made the decision for me to temporarily resign from working and to travel together! Pike Place Market is a historical farmers market in the heart of downtown Seattle. It is brimming with energy from both local vendors and curious tourist like myself. I immediately fell in love with its energy and atmosphere! This was my first real taste of Seattle and the people that call it home. 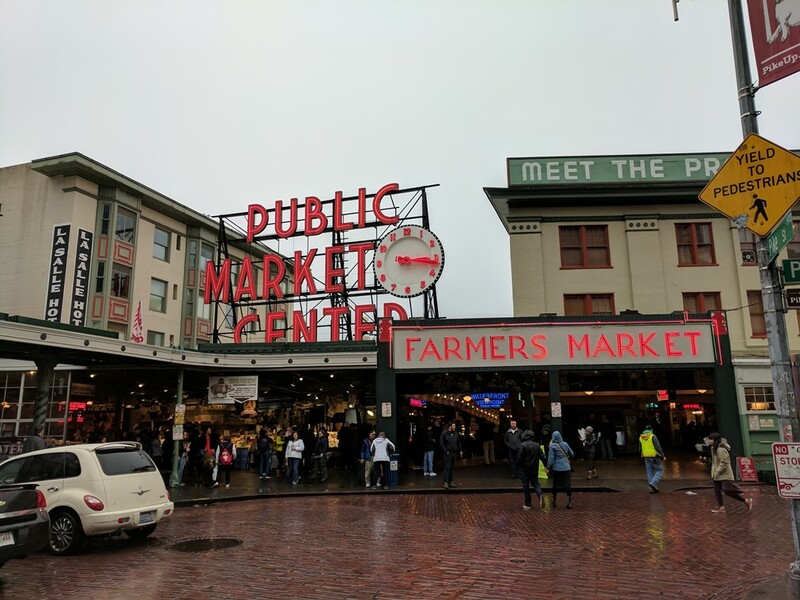 We spent most of our first Saturday in Seattle roaming around the market and exploring all the shops and booths within. The market has everything from book stores, locally grown foods and flowers, cafes, and local artists selling everything from art to pottery. 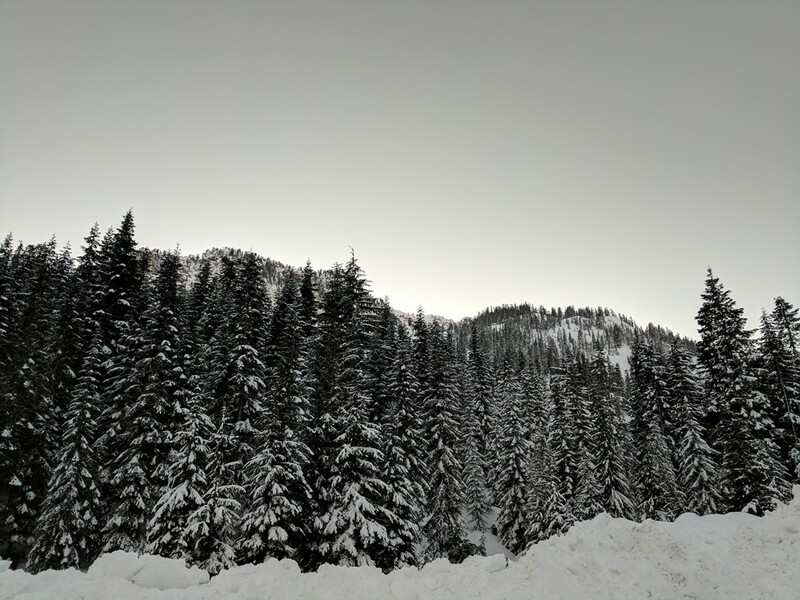 Washington is known for their apples, so it's no surprise I had some of the BEST apple cider there. In fact, before our journey came to an end, I had to go back for another cup. Just across the street from Pike Place is the FIRST Starbucks! Naturally, Jonathan and I braved the long line for the experience. I mean, how many times do you get to visit the THE Starbucks that started it all! The Space Needle is one of Seattle's more famous landmarks. As tourists, it was our right of passage to visit the famed attraction. 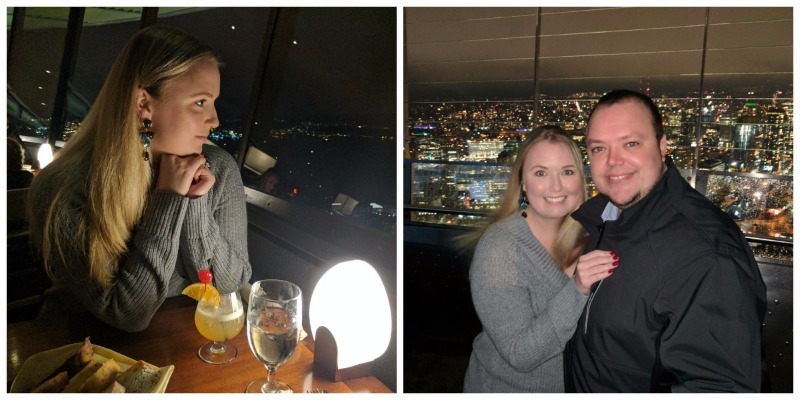 520 feet up (insert my husbands mortified expression here) and a 360 degree view was definitely an exciting way to begin our evening and to see the city. 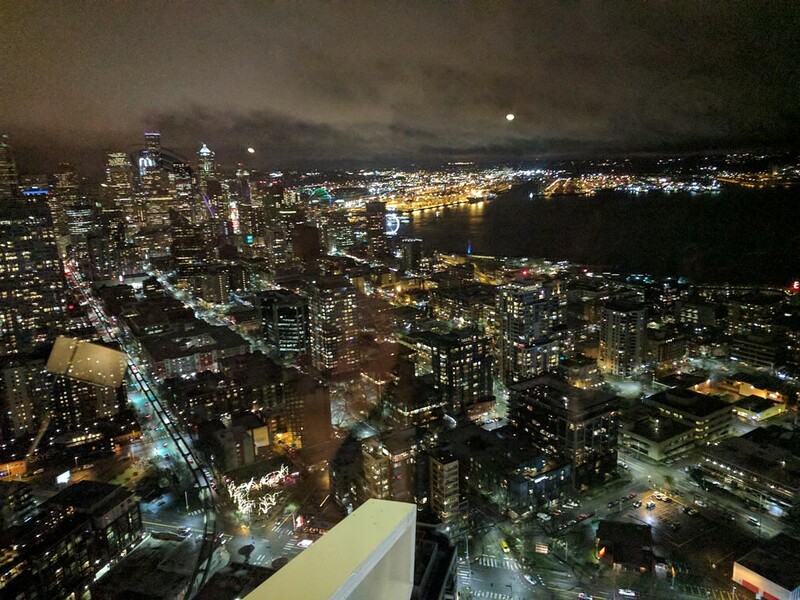 After we marveled at the views the observation deck had to offer, we headed to dinner at the Sky City restaurant where we enjoyed Seattle from 500 feet. The restaurant rotates around the top so you never miss a view! Keep this in mind before you set anything on the window sill! I turned away to look at the menu, and my clutch had left my side on an adventure all the way around the restaurant! Jonathan and I still laugh about this today! 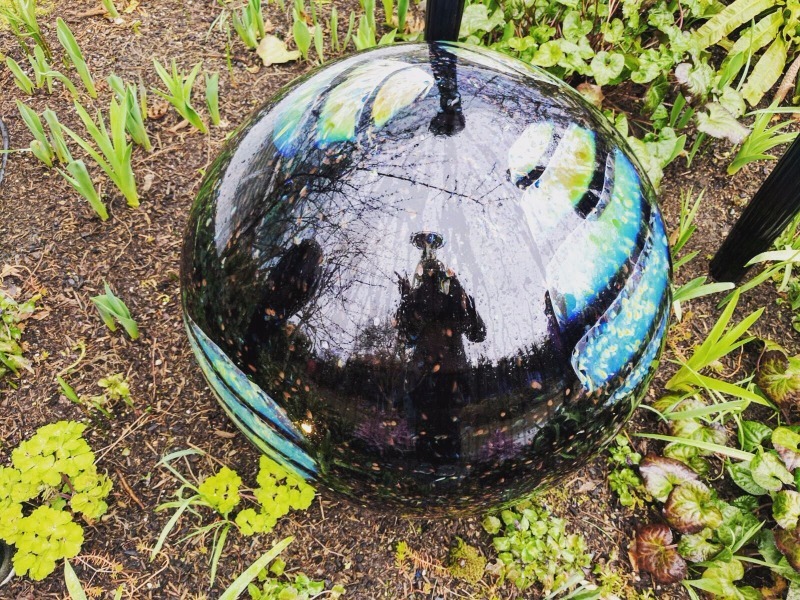 Chihuly Garden and Glass is a glass art museum located in downtown Seattle. Most of the museums attractions were indoors making this the perfect choice for a typical rainy day in Seattle. 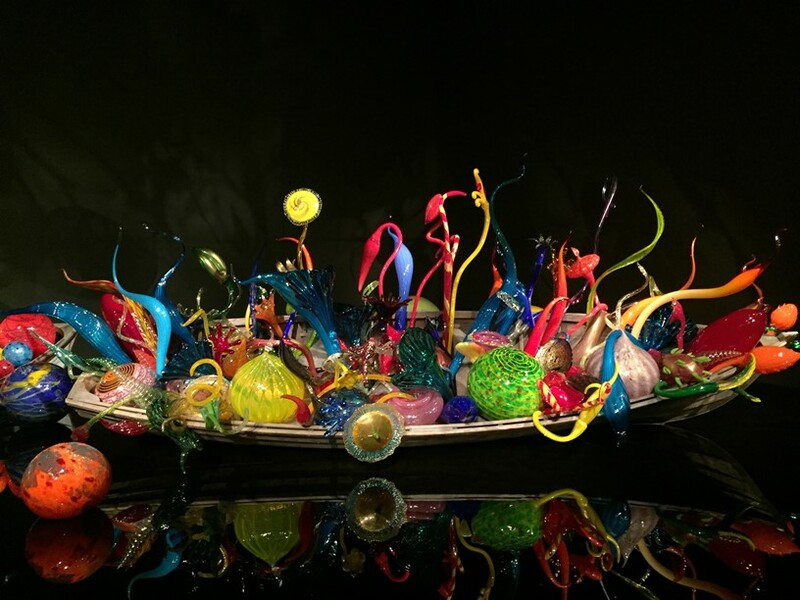 The museum features glass art in ways you've never seen! My favorite exhibition was the glass house. 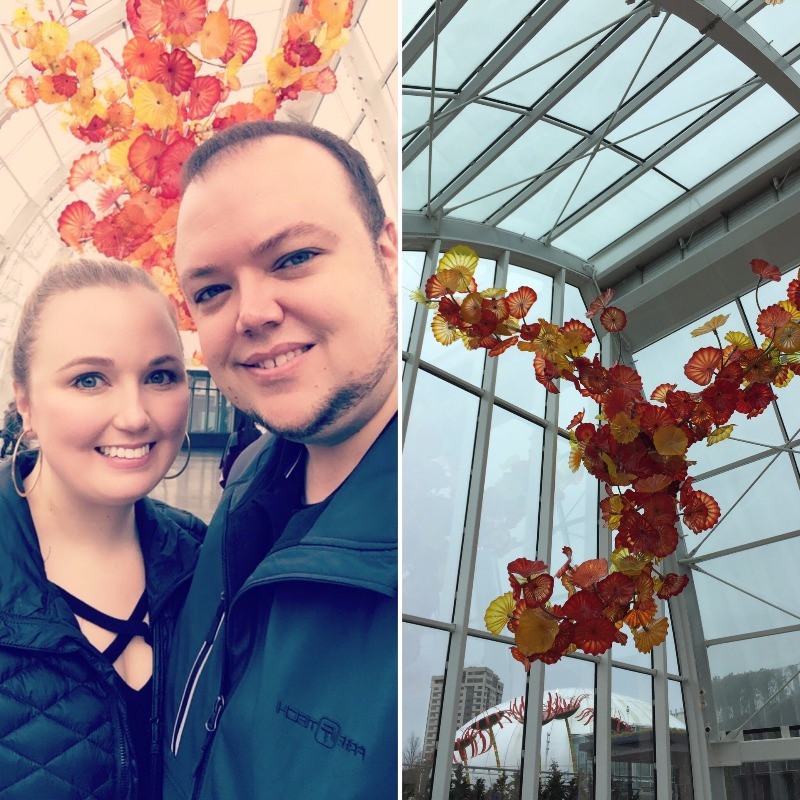 It's a 4,500 square foot, light filled space with glass art nesting right above the glass ceiling! 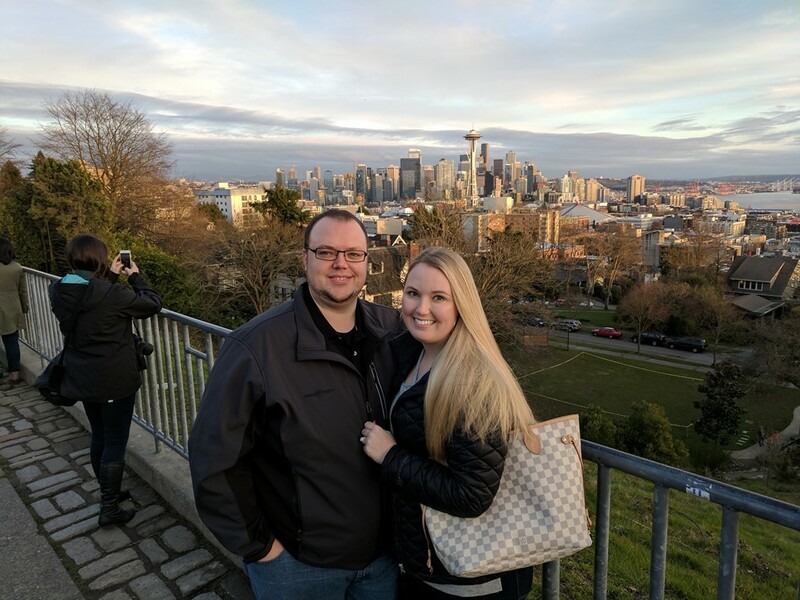 I hope you enjoyed following along with Jonathan and I as we navigated Seattle! 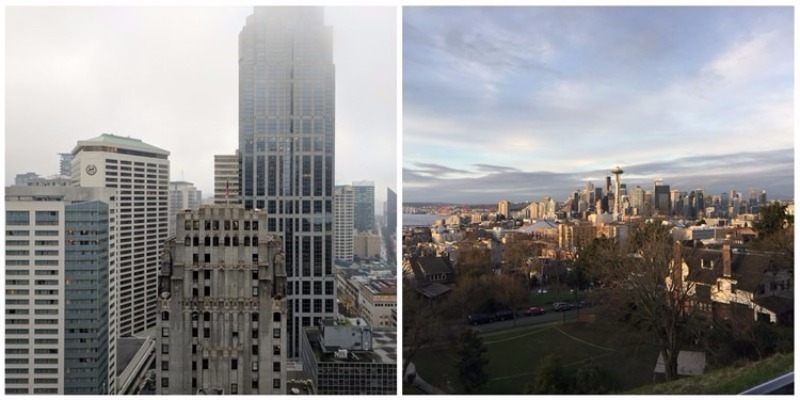 After visiting Seattle for three months, I now consider myself somewhat of a local rather than a tourist! 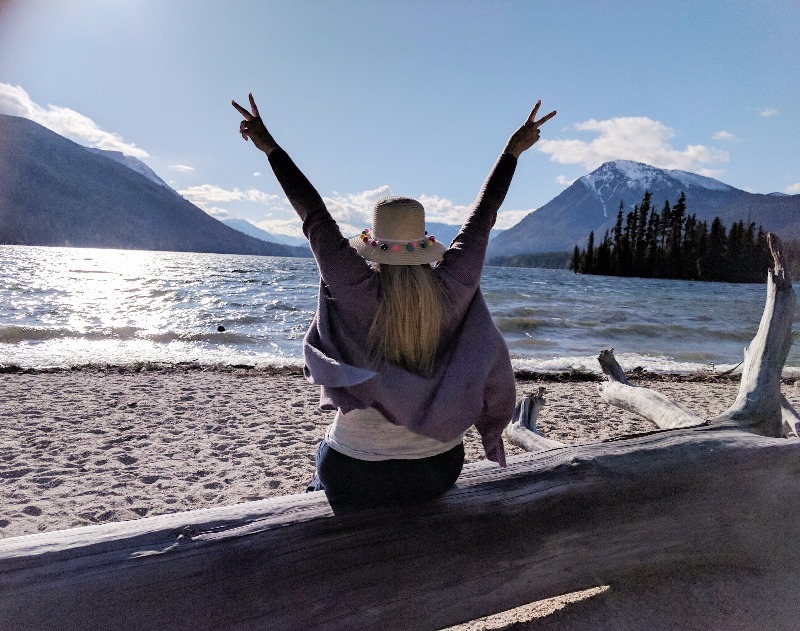 We ventured outside of Seattle several times for weekend road trips, and I want to share that with you too! Check back soon for part two!